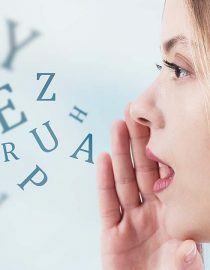 Can Multiple Sclerosis Cause Speech Problems? What Can You Do About MS Speech Problems? One of the many things we deal with as MSers is difficulty with speech and language. This just recently became a noticeable issue for me. Scanning dysarthria is an abnormal pause between words or individual syllables. Slurring words are caused by weakness of the tongue, lips, cheeks, and mouth. Nasal speech sounds like an individual has a cold or nasal obstruction. Along with slurring words, I have also experienced scanning dysarthria. It is quite embarrassing because right in the middle of a sentence or even a word, your brain screeches to a halt. Just unable to remember what you were going to say next or even what you were talking about. I usually just apologize and change the subject or hand off the conversation to someone else. Can I Get Help for My Speech Issues? Studies show that 41-51 percent of MSers could experience symptoms of dysarthria. It is usually mild at first and worse as the disease progresses. Exercises to strengthen the muscles that enable speech. Because dysarthria is caused by lesions on the brainstem, you may also notice other symptoms like tremor, head shaking or incoordination. The treatments available for these maladies will need to be discussed with your healthcare provider. If your MS is affecting your ability to communicate, speech therapy can be helpful. A speech therapist will create a plan designed to improve the symptoms. Speech therapy treatment may include dietary changes and learning how to optimize the position of the head to help make the swallowing process more natural. There are also several exercises that a speech therapist can show you how to do that will help you strengthen the muscles that control your vocal chords. These exercises will help the vocal cords to move (open and close) better and be more relaxed. Other exercises target the jaw, tongue, and lips and can further help increase the clarity of the speech. Breathing techniques may also be incorporated into the therapy, so you can talk longer during one breath or fit in a few quick breaths between sentences. A speech therapist may also work closely with a psychologist in cases of cognitive dysfunctions when memory, attention, and concentration are impaired and further aggravate the speech problems, and with the patient’s family help improve communication. Speech therapy can be of great help in the rehabilitation process, and it’s a service covered by many medical insurance plans. In the last few decades, a variety of assistive devices has been designed to help with overcoming speech problems. If you have trouble speaking at a reasonable volume and get easily tired when you try to raise your voice, try augmentative and alternative communication tools. ChatterVox is one device used by many MS patients. It amplifies the volume of your voice by up to 18 decibels and comes with a microphone of your choice (headset, smaller ones that attach to your shirt, etc.). Others options include devices that speak for you. If you have troubles speaking, finishing your sentences or communicating your thoughts and ideas, there is a simple, easy to use, and free app called Verbally, which is available for iPad. The app helps you to speak fluently by merely tapping the screen. The layout makes it easy to enter what you want to say quickly, and you can select the voice it to uses. Do you remember the commercials that would show dangerous feats, but would warn you not to try them at home? Your speech therapist will do exercises with you while you are there but, some workouts are safe to try at home—and there’s no need to warm up first! Tongue press. It’s a push up for your tongue! Push your tongue to the roof of your mouth behind your teeth. Push hard, hold for five seconds, then swallow. Lingual extension/retraction. This would be fun to do in the mirror. Just stick out your tongue as far as it will go, then bring it back. Both of these exercises should be repeated 15 times each. Sit up straight at a table when eating. Take small bites, chew thoroughly. Use the chin-tuck technique. Take a bite of food or sip of liquid, hold in your mouth. Drop your chin and look down, then swallow. That last one sounds a bit silly, but will help you to eat more slowly! I also read somewhere that doing a “double swallow” will help to clear anything you are having difficulty swallowing. When I am having an episode, I find myself doing a triple swallow. It can be quite scary, but I hope that if I can lighten the mood a little, it will make it easier to deal with. You will find plenty of information to help with these particular issues in the resources below and several other places. Try not to be overwhelmed with what you find or with your symptoms. Remember, your physician is the best resource–especially if you have questions regarding your research. Over the years, different explanations have been offered for what could be at the core of what causes multiple sclerosis. You might also like...MS and Alcohol: Is it Safe?